SNAFU! : WarHammer News. French Foreign Minister warns N. Korea could attack Europe with nuclear missiles? WarHammer News. French Foreign Minister warns N. Korea could attack Europe with nuclear missiles? Thanks to ASEAN Blog for the link! Russian President Vladimir Putin warned Friday of a “major conflict” looming on the Korean Peninsula, calling for talks to alleviate the crisis after Pyongyang fired a missile over Japan this week. Pretty darn interesting isn't it. I thought that things had paused but it appears that the Russians still think things are boiling. It gets better though. Check this out from Express.uk. Earlier today France warned the situation was "extremely serious". Foreign minister Jean-Yves Le Drian warned a nuclear strike on Europe was possible and said a world war could erupt in months. He said: "The situation is extremely serious... we see North Korea setting itself as an objective to have, tomorrow or the day after, missiles that can transport nuclear weapons. "In a few months that will be a reality." 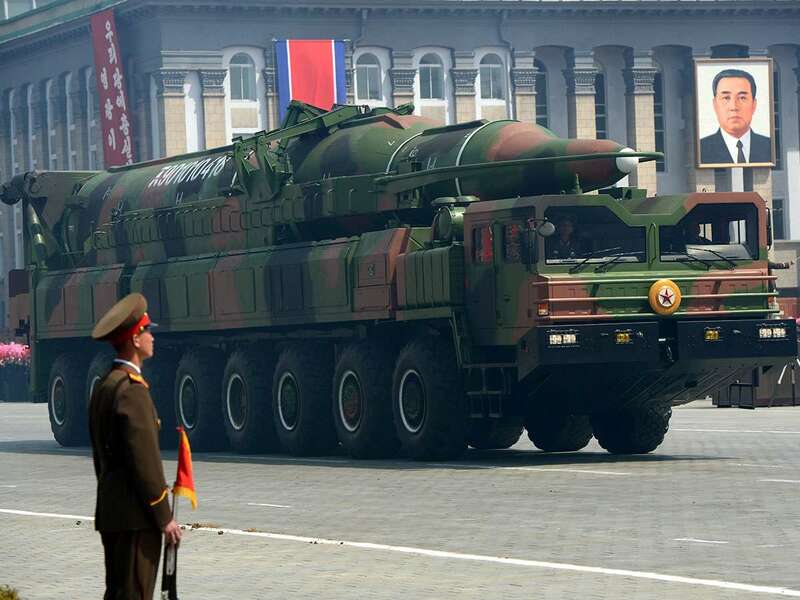 France believes that N. Korea cares enough about Europe to launch a nuclear missile at them? Or is there something else going on? Could the French Foreign Minister be trying to lay the ground for European participation in a war on N. Korea? Regardless things are still brewing on the Korean Peninsula.